Play, experiment and create with us! 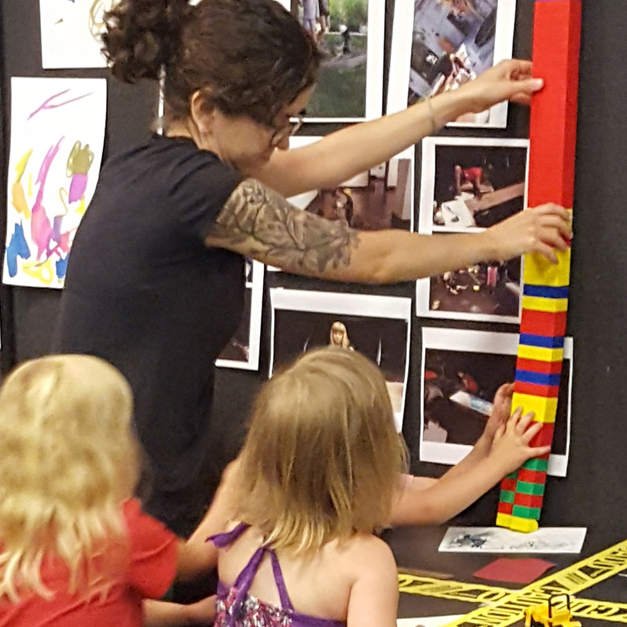 Summer Art Workshops in CMA’s JPMorgan Chase Center for Creativity encourage the exploration of ideas through imaginative play, exploration of art materials, and lively gallery games for students in preschool through eighth grade. Tell stories around the campfire, take nature hikes around the museum, and explore new takes on classic summer camp crafts and activities. Almost SOLDOUT. Use the art museum’s spaces to count, collect, classify, and catalog the colors, patterns, and parts that make up our everyday lives. Discover an underground world of fossils, crystals and cave paintings as we spelunk our way through the museum on a subterranean adventure. Use art to explore the colors, sounds, activities, and animals that make the day special and demystify the night. Do you have what it takes to imagine the “next big thing?” Join our studio think-tank and bring your wild ideas and inventions to life. From Gulliver’s Travelsto the Borrowers, fairies to leprechauns, small creatures and wee worlds have excited our imaginations. Explore the experience of small creatures in a big world. Collaborate with fellow street artists to design and make a mural masterpiece. Jumpstart your imaginations and enter a world of mystery and intrigue as you create your character and watch the game unfold. Make your comics come to life through costume, sculpture, diorama, and illustration.